Ruger has been busy lately, the SP101 is available in .327 Mag, the SR9, the 5 shot Super Redhawk .480 (The question is why, does the six round version weigh too much? ), and the Redhawk in 45 Colt (Since I shoot a lot of Cowboy Action I’m kinda partial to 45 Colt). And then there is the deep dark secret that seems to have caught everyone off guard. The first I heard was a little add in the local nickel want adds (in Montana gun adds are pretty common, not like where Mr. C lives where the papers are all constipated over guns. A polite way of saying they are full of ____) . Anyway, all it said was "Beartooth Gun has a limited number of the new Ruger 10/22 Charger pistol". At first I missed the "pistol" part and was thinking of some new name for the thumb hole stocked target 10/22. Now I’ve owned a number of 10/22’s over the years but a pistol? Sure enough they had one set up on the counter. How cool is that, silhouette style laminated stock, 10 inch barrel and a bipod. 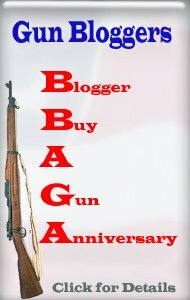 It looked great and 10/22’s have always been good shooters sooooo…. It came home with me. The Charger doesn’t have iron sights but it comes with a scope mount that is set up for both standard Weaver rings or the smaller mounts that are usually on 22’s. All you have to do is clamp on which ever one you have. One of my inexpensive red dots ended up on it. I put some 22 snap caps in and played with the trigger, the pull using a Lyman gauge came out to just under 4 ½ pounds. The next day we went up to the range, I would have gone right away but it was really dark outside. The red dot is plenty bright but you have to see whatever it is that you try and put the dot on. Even with 30 mph winds and COLD out we were bound and determined. The little 10 round rotary magazine is the same one used on the standard 10/22 and extended mags that fit a 10/22 will work in the Charger. A few years ago I acquired many thousand rounds of misc. 22 LR in a trade deal, everything from straight lead to copper wash and hollow points. That’s what ended up going into the Charger so it is obvious that real precision shooting was not on the program card. Of course with the wind and cold it was tough to really be precise anyway. Like the 10/22 rifle, the Charger gets "A" marks for reliability, it ate whatever we put in it. No misfeeds or jams and these were really old rounds. The bipod is really nice. It is very steady, at 25 yards both of us were able to put a full magazine of shots inside the area of the target that was covered by the red dot in the scope. That is about 1 ¾ inches on the target with my red dot. Every once in a while there would be a flyer but that had to be either the wind or a shiver from the cold. The trigger pull is a bit heavy but it was quite crisp. It wouldn’t hurt to put in a good trigger kit like a Volquartsen or Jard system. Maybe when we get a warm calm day I’ll get some fresh ammo and try it without handicapping the pistol. If you want to shoot it without the bipod the legs flip forward but it feels kind of awkward. Fortunately the bipod attaches to a sling swivel mount with a pin and comes off with the turn of a thumb screw. My shooting buddy like Mr. C is a lefty and even people who shoot with the wrong hand find the stock comfortable. He didn’t even get hit with the ejected brass. He said that was a plus and claims that brass hitting the forehead is somewhat distracting and affects accuracy. Both of us were really pleased with the new Charger, and it looks just as good in person as it does in the picture. More importantly it is fun to shoot. A big "Thanks" to Damiphino for writing this for the blog. I think the reason the .480 Super Redhawk only holds five rounds is because it allows the chamber walls to be thicker. I know this is standard practice in other revolvers, too, where the .44Mag holds six but the .454Casull only holds five. The .480 SRH is originally chambered with six rounds. Why five? No clue. Maybe for a .475 Linebaugh conversion cylinder? 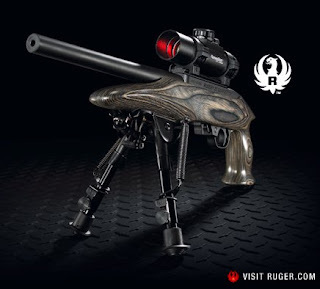 In Oz, there is no way that I can legally own a Ruger 10/22 RIFLE. The Ruger Charger - same action but in a pistol - is fine for gun club members. BUT - if I replace the stock and shorten the barrel of a REAL 10/22 to make it equivalent to a Charger, I face the prospect of jail. WV: anizesum - how much a Ruger Charger costs in Oz.